NEW YORK (CNNMoney) - Angry shareholders slammed Wells Fargo on Tuesday for abusing customers and tarnishing its reputation. "This company has harmed and wounded millions of its customers," activist shareholder Sister Nora Nash said at the bank's annual shareholder meeting. Wells Fargo accused of preying on black, Latino homebuyers in Calif.
Demonstrators gathered outside the meeting in Des Moines, Iowa, to protest Wells Fargo's various scandals as well as its financing for fossil fuel projects and gun manufacturing. Despite criticism of Wells Fargo, the bank's directors were all re-elected on Tuesday by a wide majority. None of the shareholder proposals pushing to rein in the bank received enough support to pass. California State Treasurer John Chiang contrasted the state of the bank with its long history in California, where it helped build countless roads, schools and dams. "Where is that bank today? Wells Fargo is a shadow of its former self," said Chiang, who is running for California governor as a Democrat. "Today, it's unfortunately known for targeting our community's most vulnerable." Wells Fargo has admitted to opening as many as 3.5 million fake accounts, forcing customers into auto insurance they didn't want and charging unnecessary mortgage fees. The bank has also been accused of ripping off small business owners on credit card transactions and retaliating against workers who called the ethics hotline. Wells Fargo's sales practices remain under investigation by the SEC, the Justice Department and the Labor Department. Chiang criticized the board for failing to stop the fake-accounts scandal and expressed doubt about whether CEO Tim Sloan can turn the bank around. "Time has proven that Mr. Sloan cannot drain the swamp. He has become it," Chiang said. "It's time for him to go." Elizabeth Duke, Wells Fargo's chairman, defended Sloan and pointed to steps he has taken to fix the bank's culture. "Tim's time with the company is an advantage. His commitment to change is unwavering," Duke said to loud applause. Wells Fargo shareholders voted overwhelmingly in favor of the bank's compensation plan for Sloan and other top executives. Shareholder proposals, including one calling for a report detailing the risks involved in the bank's sales tactics, failed to receive majority support. Nash, the activist shareholder, thanked Wells Fargo for agreeing to a proposal calling on the bank to publish a comprehensive report on the "root causes of past and present fraudulent activities." "Your customers, who are guilty only of having trusted Wells Fargo to do the right thing, deserve an honest reckoning," Nash said. Federal regulators fined Wells Fargo $1 billion last week for car insurance and mortgage abuses. In February, the Federal Reserve imposed unprecedented sanctions that prevent the bank from growing until it cleans up its act. 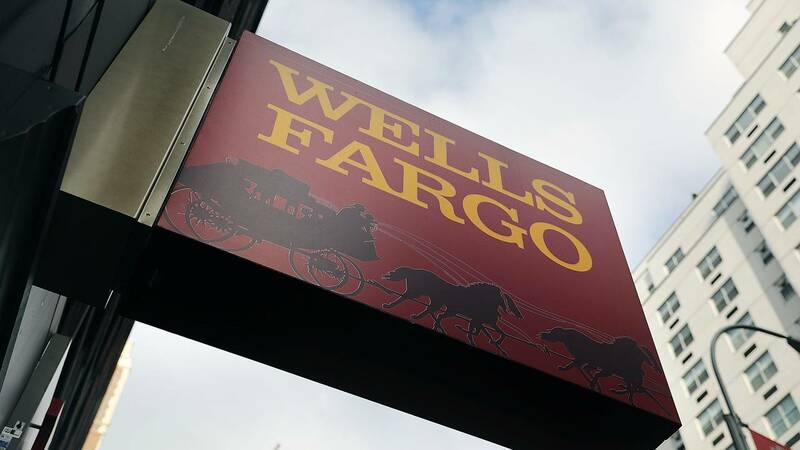 "While we have more work to do," Sloan said Tuesday, "we have made significant progress as we work to fix problems, make things right for our customers and transform to a better, stronger Wells Fargo." He pointed out that Wells Fargo has eliminated product sales goals, has tightened its risk management and now sends automatic notifications to customers when new accounts are opened. Wells Fargo also came under fire for its support for the gun industry. While Bank of America and Citigroup have stepped away from the gun manufacturers, Wells Fargo recently said the bank will keep lending to the industry. Jordan Ash of the St. Paul Federation of Teachers told Wells Fargo executives he was "alarmed" to read about Wells Fargo's record on guns. "We must stop the gun violence epidemic in our country," Ash said. "NRA leaders have launched shameful public attacks on educators and student survivors." Sloan responded during a contentious back-and-forth with Ash that Wells Fargo believes gun violence is best addressed by legislation. "We don't think it's a good idea to allow banks to decide what products and services Americans can buy. It shouldn't be up to us to decide that," Sloan said.